As the ‘Golden Quarter’ dawns and we start to hear more about Black Friday and Christmas shopping, it’s incredible to think we have only just stepped into September. However, the ‘Christmas Creep’ is ever-present, and it has good reason to be. 40% of consumers start their holiday shopping before the Jack O’Lanterns and Ghouls of Halloween rear their heads, and so, the final days of summer are the perfect time to begin planning for a successful Christmas campaign. For years now, a staple of the UK Christmas Advertising scene has been the anticipation for Christmas campaigns by some of the largest brands in the nation. John Lewis and Marks & Spencer have led the charge for years when creating emotive, festive advertising to reach a huge audience. Also, it never really feels like Christmas until the long-running Coca-Cola advert begins playing, and “Holidays are Coming” is worming its way in to our ears. But, as of last year, this trend seems to be suffering from a huge change. Sainsbury’s decided to strip back their budget for their 2017 Christmas advertising, which saw them simply put a festive theme on their black and white ‘Living Well’ campaign. Despite this drop in budget, they still had the 3rd most viewed advert behind the much higher budgeted John Lewis and M&S adverts. Therefore, we may see other large companies step away from competing for the Christmas hype with big budget advertisements, and presenting an opportunity for smaller companies to compete with lower budget, yet equally emotive, advertisements of their own. Finally, the Christmas period is a great opportunity for businesses on tighter budgets to muscle in on market share, achieve instant brand fame, and engage their target audience. According to a contact at Guerillascope (an Independent Media Planning & Buying Agency), many of the larger advertisers pause their activity over the last two weeks of the year, the dynamics of supply and demand can drive airtime costs down by 20- 50%, despite viewing audiences typically being at their highest! The bonus is therefore on businesses to be bold, act now, and provide a compelling enough motivation for potential customers to engage. Last year’s UK Black Friday showed that the excitement of the day just isn’t the same. According to The Guardian, the day started slower than expected, but momentum built during the day, with Black Friday spending estimated to be up 8% from 2016. And this spending was increased by the Black Friday sales becoming more like a Black Weekend. Sales starting on Thursday evenings meant traffic began early, and people didn’t need to sacrifice time from work on Friday to physically go to stores. As the day itself came around, the amount of physical shoppers in stores had dropped from previous years, but the traffic online increased. John Lewis called it “one of its most successful days” and reported its busiest ever single hour on its website. John Lewis also expected this traffic to continue throughout the remainder of the weekend. This change in the UK public’s approach to the American-made shopping event proves that Black Friday is less about the day, and more about the mini-season of shopping in the lead up to Christmas. Therefore, it is important for brands to take advantage of the whole weekend, and the UK audience’s tendency to do their discount shopping from the comfort of their own homes. 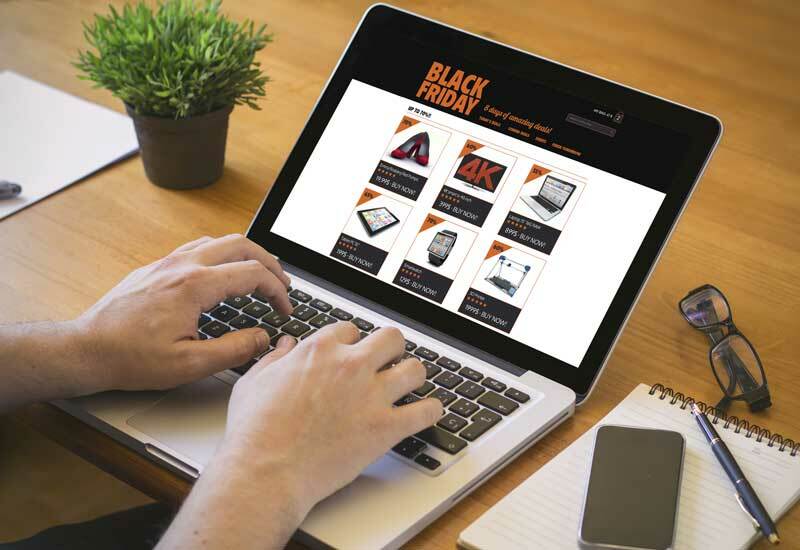 Driving your advertisement to include these Black Friday sales, including information on when they begin and end, and what products are available during this time, is a key factor in making sure to capitalise on this consumer event. Making sure to include social and website addresses is also of the utmost importance to keep your brand thriving in the tech-savvy world of online shopping. As Black Friday in 2017 showed, online shopping is the key to any company’s holiday sales. Due to the havoc of Black Friday shopping in the past, with police and ambulances called to stores, people seem far more safe and comfortable using the convenience of online shopping rather than risking the near-riotous scenes of a physical shop on Black Friday. Argos said 2 million plus people visited its site in the 4 hours after it launched its Black Friday deals, and online only retailer Boohoo saw group sales double to £228.2million in the four months leading up to December 31st. Furthermore, Ted Baker linked its surge in sales to online shopping, and Next’s good performance over the Christmas period was credited to its more mature online operation. Any call to action to websites would benefit any company in this landscape, with online shopping becoming more and more convenient for shoppers to fit their Christmas purchases around their hectic schedules. This admittance from John Lewis proves the importance of having a fully-fledged campaign for the holiday period. You have to compete even more at this busy time, as consumers are constantly flooded with discounts and sales on the high street and on their devices, so making sure they are being reached through every potential medium is important. One of the most important mediums for an omnichannel Christmas presence is social media. Big brands are putting more emphasis and money in to social media, as it is where most consumers are spending their time. The challenge is in thinking of ways to target their audience with emotive concepts not only in traditional advertising, but on social media, and balancing this outreach with a stable, and consistent brand style. Just look at M&S as a key example of branding during the holidays. M&S is a lifestyle and home brand, so it’s fitting that they’re posting Instagram images that feature cozy, winter homes and quotes that play to a consumer’s senses around the holidays. They provide their audience with a consistent brand image, including adhering to a colour scheme and posting appropriate, brand-specific content. Showing your existing audience that you are just as in tune with the holidays as they are, and extending your audience by being present in different channels, are important steps to take when trying to broaden your consumer base during this incredibly competitive and busy time. 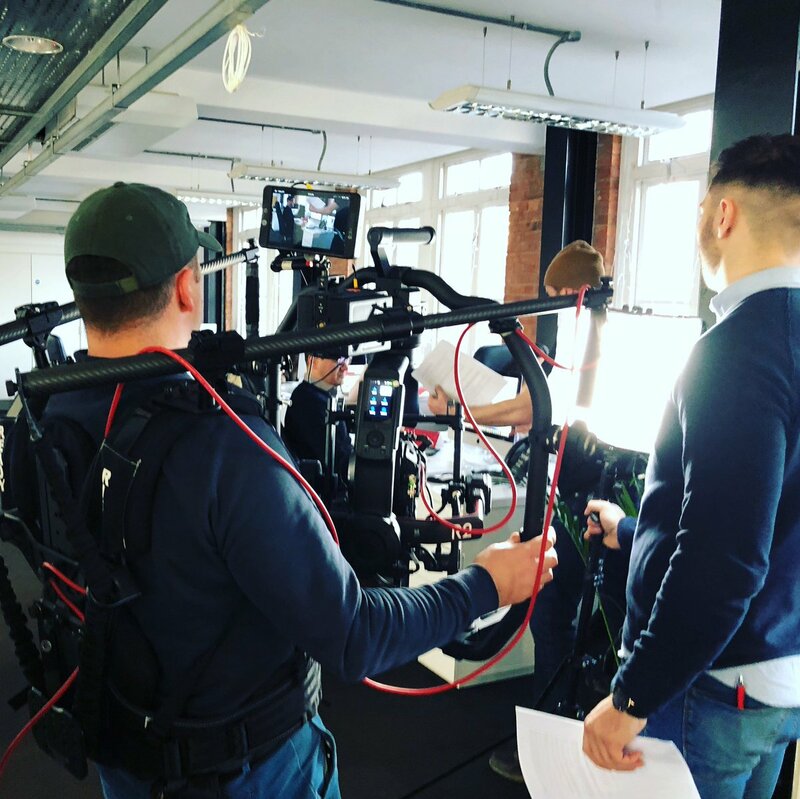 To make the most of your campaign, it would be easy to shoot a 1 minute, extended version of an advert that contains more information about the brand compared to a 30 second TV advert, which can be edited from the extended version. Also, as part of the shoot, it would be beneficial to plan a photoshoot and combination of behind the scenes videos and images, all of which can be used in the build up to Christmas on social media to keep a frequent presence and impact during your holiday campaign. If you are interested in discussing a potential TV or online advert or campaign, then please contact us, as we’d love to find out about your product and company and work with you to develop an idea. 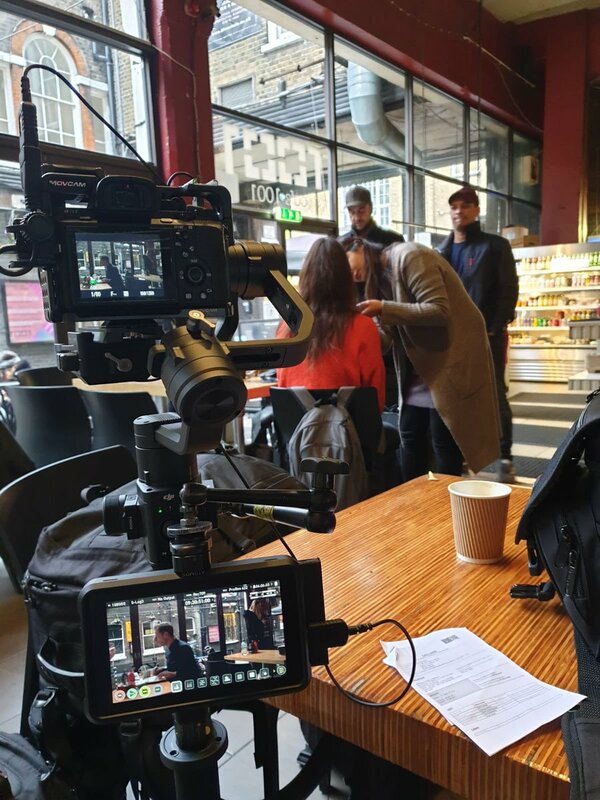 Square Elephant Productions is a highly experienced and creative advertising agency and Video Production Company, and we can offer some of the best Christmas Campaigns that are tailored to your budget, and within the required time. Our teams are able to offer a full service so that we can work with you to create, write, clear, film, edit and voice your advert; and we also offer animated options! 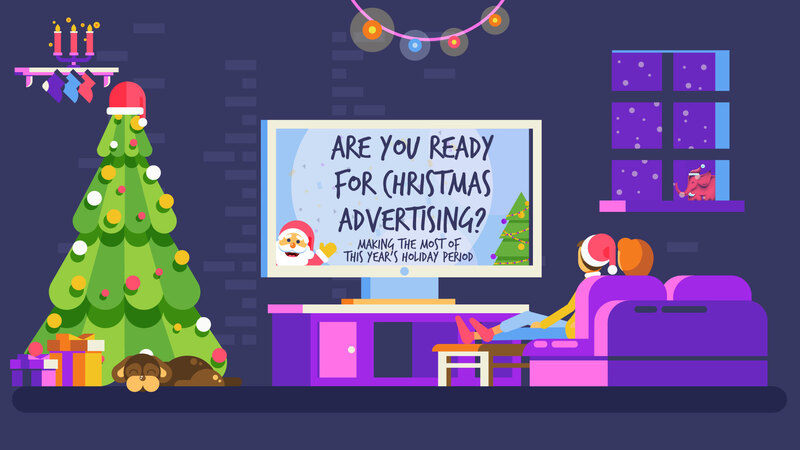 Christmas campaigns with Square Elephant Productions have a budget range from £6,000 to £40,000, which isn’t as expensive as it may first sound, considering the biggest brands have historically spent millions on their adverts, for example, the Moz The Monster John Lewis advert cost £7 million.